4601501 MF 7140 MASSEY FERGUSON MF 7140 wheel tractor. Spare Parts Catalog. 4601502 MF 7150 MASSEY FERGUSON MF 7150 wheel tractor. Spare Parts Catalog. 4601503 MF 7170 MASSEY FERGUSON MF 7170 wheel tractor. Spare Parts Catalog. 4601504 MF 7180 MASSEY FERGUSON MF 7180 wheel tractor. Spare Parts Catalog. 4601505 MF 7465 MASSEY FERGUSON MF 7465 wheel tractor. Spare Parts Catalog. 4601506 MF 7465 Dyna-Step MASSEY FERGUSON MF 7465 Dyna-Step wheel tractor. Spare Parts Catalog. 4601507 MF 7465 Dyna-Step Datatronic 3 MASSEY FERGUSON MF 7465 Dyna-Step Datatronic 3 wheel tractor. Spare Parts Catalog. 4601508 MF 7465 Dyna-VT MASSEY FERGUSON MF 7465 Dyna-VT wheel tractor. Spare Parts Catalog. 4601509 MF 7465 Dyna-VT Datatronic 3 MASSEY FERGUSON MF 7465 Dyna-VT Datatronic 3 wheel tractor. Spare Parts Catalog. 4601510 MF 7465 Dyna-VT Municipal MASSEY FERGUSON MF 7465 Dyna-VT Municipal wheel tractor. Spare Parts Catalog. 4601511 MF 7465 Tier 2 MASSEY FERGUSON MF 7465 Tier 2 wheel tractor. Spare Parts Catalog. 4601512 MF 7465 Tier 2 Dyna-VT MASSEY FERGUSON MF 7465 Tier 2 Dyna-VT wheel tractor. Spare Parts Catalog. 4601513 MF 7465 Tier 2 Dyna-VT Municipal MASSEY FERGUSON MF 7465 Tier 2 Dyna-VT Municipal wheel tractor. Spare Parts Catalog. 4601514 MF 7465 Tier 3 MASSEY FERGUSON MF 7465 Tier 3 wheel tractor. Spare Parts Catalog. 4601515 MF 7475 MASSEY FERGUSON MF 7475 wheel tractor. Spare Parts Catalog. 4601516 MF 7475 Dyna-Step MASSEY FERGUSON MF 7475 Dyna-Step wheel tractor. Spare Parts Catalog. 4601517 MF 7475 Dyna-Step Datatronic 3 MASSEY FERGUSON MF 7475 Dyna-Step Datatronic 3 wheel tractor. Spare Parts Catalog. 4601518 MF 7475 Dyna-VT MASSEY FERGUSON MF 7475 Dyna-VT wheel tractor. Spare Parts Catalog. 4601519 MF 7475 Dyna-VT Datatronic 3 MASSEY FERGUSON MF 7475 Dyna-VT Datatronic 3 wheel tractor. Spare Parts Catalog. 4601520 MF 7475 Dyna-VT Municipal MASSEY FERGUSON MF 7475 Dyna-VT Municipal wheel tractor. Spare Parts Catalog. 4601521 MF 7475 Tier 2 MASSEY FERGUSON MF 7475 Tier 2 wheel tractor. Spare Parts Catalog. 4601522 MF 7475 Tier 2 Dyna-VT MASSEY FERGUSON MF 7475 Tier 2 Dyna-VT wheel tractor. Spare Parts Catalog. 4601523 MF 7475 Tier 2 Dyna-VT Municipal MASSEY FERGUSON MF 7475 Tier 2 Dyna-VT Municipal wheel tractor. Spare Parts Catalog. 4601524 MF 7475 Tier 3 MASSEY FERGUSON MF 7475 Tier 3 wheel tractor. Spare Parts Catalog. 4601525 MF 7480 MASSEY FERGUSON MF 7480 wheel tractor. Spare Parts Catalog. 4601526 MF 7480 Dyna-Step MASSEY FERGUSON MF 7480 Dyna-Step wheel tractor. Spare Parts Catalog. 4601527 MF 7480 Dyna-Step Datatronic 3 MASSEY FERGUSON MF 7480 Dyna-Step Datatronic 3 wheel tractor. Spare Parts Catalog. 4601528 MF 7480 Dyna-VT MASSEY FERGUSON MF 7480 Dyna-VT wheel tractor. Spare Parts Catalog. 4601529 MF 7480 Dyna-VT Datatronic 3 MASSEY FERGUSON MF 7480 Dyna-VT Datatronic 3 wheel tractor. Spare Parts Catalog. 4601530 MF 7480 Dyna-VT Municipal MASSEY FERGUSON MF 7480 Dyna-VT Municipal wheel tractor. Spare Parts Catalog. 4601531 MF 7480 Tier 2 MASSEY FERGUSON MF 7480 Tier 2 wheel tractor. Spare Parts Catalog. 4601532 MF 7480 Tier 2 Dyna-VT MASSEY FERGUSON MF 7480 Tier 2 Dyna-VT wheel tractor. Spare Parts Catalog. 4601533 MF 7480 Tier 2 Dyna-VT Municipal MASSEY FERGUSON MF 7480 Tier 2 Dyna-VT Municipal wheel tractor. Spare Parts Catalog. 4601534 MF 7480 Tier 3 MASSEY FERGUSON MF 7480 Tier 3 wheel tractor. Spare Parts Catalog. 4601535 MF 7485 MASSEY FERGUSON MF 7485 wheel tractor. Spare Parts Catalog. 4601536 MF 7485 Dyna VT MASSEY FERGUSON MF 7485 Dyna VT wheel tractor. Spare Parts Catalog. 4601537 MF 7485 Dyna-Step Datatronic 3 MASSEY FERGUSON MF 7485 Dyna-Step Datatronic 3 wheel tractor. Spare Parts Catalog. 4601538 MF 7485 Dyna-VT Datatronic 3 MASSEY FERGUSON MF 7485 Dyna-VT Datatronic 3 wheel tractor. Spare Parts Catalog. 4601539 MF 7485 Tier 2 MASSEY FERGUSON MF 7485 Tier 2 wheel tractor. Spare Parts Catalog. 4601540 MF 7485 Tier 2 Dyna-VT MASSEY FERGUSON MF 7485 Tier 2 Dyna-VT wheel tractor. Spare Parts Catalog. 4601541 MF 7485 Tier 3 Dyna-Step MASSEY FERGUSON MF 7485 Tier 3 Dyna-Step wheel tractor. Spare Parts Catalog. 4601542 MF 7485 Tier 3 Dyna-VT MASSEY FERGUSON MF 7485 Tier 3 Dyna-VT wheel tractor. Spare Parts Catalog. 4601543 MF 7490 MASSEY FERGUSON MF 7490 wheel tractor. Spare Parts Catalog. 4601544 MF 7490 Dyna VT MASSEY FERGUSON MF 7490 Dyna VT wheel tractor. Spare Parts Catalog. 4601545 MF 7490 Dyna-Step Datatronic 3 MASSEY FERGUSON MF 7490 Dyna-Step Datatronic 3 wheel tractor. Spare Parts Catalog. 4601546 MF 7490 Dyna-VT Datatronic 3 MASSEY FERGUSON MF 7490 Dyna-VT Datatronic 3 wheel tractor. Spare Parts Catalog. 4601547 MF 7490 Tier 2 MASSEY FERGUSON MF 7490 Tier 2 wheel tractor. Spare Parts Catalog. 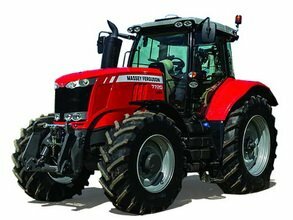 4601548 MF 7490 Tier 2 Dyna-VT MASSEY FERGUSON MF 7490 Tier 2 Dyna-VT wheel tractor. Spare Parts Catalog. 4601549 MF 7490 Tier 3 Dyna-Step MASSEY FERGUSON MF 7490 Tier 3 Dyna-Step wheel tractor. Spare Parts Catalog. 4601550 MF 7490 Tier 3 Dyna-VT MASSEY FERGUSON MF 7490 Tier 3 Dyna-VT wheel tractor. Spare Parts Catalog. 4601551 MF 7495 MASSEY FERGUSON MF 7495 wheel tractor. Spare Parts Catalog. 4601552 MF 7495 Dyna VT MASSEY FERGUSON MF 7495 Dyna VT wheel tractor. Spare Parts Catalog. 4601553 MF 7495 Dyna-Step Datatronic 3 MASSEY FERGUSON MF 7495 Dyna-Step Datatronic 3 wheel tractor. Spare Parts Catalog. 4601554 MF 7495 Dyna-VT Datatronic 3 MASSEY FERGUSON MF 7495 Dyna-VT Datatronic 3 wheel tractor. Spare Parts Catalog. 4601555 MF 7495 Tier 2 MASSEY FERGUSON MF 7495 Tier 2 wheel tractor. Spare Parts Catalog. 4601556 MF 7495 Tier 2 Dyna-VT MASSEY FERGUSON MF 7495 Tier 2 Dyna-VT wheel tractor. Spare Parts Catalog. 4601557 MF 7495 Tier 3 Dyna-Step MASSEY FERGUSON MF 7495 Tier 3 Dyna-Step wheel tractor. Spare Parts Catalog. 4601558 MF 7495 Tier 3 Dyna-VT MASSEY FERGUSON MF 7495 Tier 3 Dyna-VT wheel tractor. Spare Parts Catalog. 4601559 MF 7497 MASSEY FERGUSON MF 7497 wheel tractor. Spare Parts Catalog. 4601560 MF 7497 Dyna-Step Datatronic 3 MASSEY FERGUSON MF 7497 Dyna-Step Datatronic 3 wheel tractor. Spare Parts Catalog. 4601561 MF 7497 Dyna-VT Datatronic 3 MASSEY FERGUSON MF 7497 Dyna-VT Datatronic 3 wheel tractor. Spare Parts Catalog. 4601562 MF 7497 Tier 3 MASSEY FERGUSON MF 7497 Tier 3 wheel tractor. Spare Parts Catalog. 4601563 MF 7497 Tier 3 Dyna-Step MASSEY FERGUSON MF 7497 Tier 3 Dyna-Step wheel tractor. Spare Parts Catalog. 4601564 MF 7497 Tier 3 Dyna-VT MASSEY FERGUSON MF 7497 Tier 3 Dyna-VT wheel tractor. Spare Parts Catalog. 4601565 MF 7499 MASSEY FERGUSON MF 7499 wheel tractor. Spare Parts Catalog. 4601566 MF 7499 Dyna-Step Datatronic 3 MASSEY FERGUSON MF 7499 Dyna-Step Datatronic 3 wheel tractor. Spare Parts Catalog. 4601567 MF 7499 Dyna-VT Datatronic 3 MASSEY FERGUSON MF 7499 Dyna-VT Datatronic 3 wheel tractor. Spare Parts Catalog. 4601568 MF 7499 Tier 3 MASSEY FERGUSON MF 7499 Tier 3 wheel tractor. Spare Parts Catalog. 4601569 MF 7499 Tier 3 Dyna-Step MASSEY FERGUSON MF 7499 Tier 3 Dyna-Step wheel tractor. Spare Parts Catalog. 4601570 MF 7499 Tier 3 Dyna-VT MASSEY FERGUSON MF 7499 Tier 3 Dyna-VT wheel tractor. Spare Parts Catalog. 4601571 MF 7614 MASSEY FERGUSON MF 7614 wheel tractor. Spare Parts Catalog. 4601572 MF 7614 Dyna-4 MASSEY FERGUSON MF 7614 Dyna-4 wheel tractor. Spare Parts Catalog. 4601573 MF 7614 Dyna-4 Dyna-6 MASSEY FERGUSON MF 7614 Dyna-4 Dyna-6 wheel tractor. Spare Parts Catalog. 4601574 MF 7614 Dyna-6 MASSEY FERGUSON MF 7614 Dyna-6 wheel tractor. Spare Parts Catalog. 4601575 MF 7614 Dyna-VT MASSEY FERGUSON MF 7614 Dyna-VT wheel tractor. Spare Parts Catalog. 4601576 MF 7615 MASSEY FERGUSON MF 7615 wheel tractor. Spare Parts Catalog. 4601577 MF 7615 Dyna VT MASSEY FERGUSON MF 7615 Dyna VT wheel tractor. Spare Parts Catalog. 4601578 MF 7615 Dyna-4 MASSEY FERGUSON MF 7615 Dyna-4 wheel tractor. Spare Parts Catalog. 4601579 MF 7615 Dyna-6 MASSEY FERGUSON MF 7615 Dyna-6 wheel tractor. Spare Parts Catalog. 4601580 MF 7615 Dyna-VT MASSEY FERGUSON MF 7615 Dyna-VT wheel tractor. Spare Parts Catalog. 4601581 MF 7616 MASSEY FERGUSON MF 7616 wheel tractor. Spare Parts Catalog. 4601582 MF 7616 Dyna VT MASSEY FERGUSON MF 7616 Dyna VT wheel tractor. Spare Parts Catalog. 4601583 MF 7616 Dyna-4 MASSEY FERGUSON MF 7616 Dyna-4 wheel tractor. Spare Parts Catalog. 4601584 MF 7616 Dyna-6 MASSEY FERGUSON MF 7616 Dyna-6 wheel tractor. Spare Parts Catalog. 4601585 MF 7616 Dyna-VT MASSEY FERGUSON MF 7616 Dyna-VT wheel tractor. Spare Parts Catalog. 4601586 MF 7618 MASSEY FERGUSON MF 7618 wheel tractor. Spare Parts Catalog. 4601587 MF 7618 Dyna VT MASSEY FERGUSON MF 7618 Dyna VT wheel tractor. Spare Parts Catalog. 4601588 MF 7618 Dyna-4 MASSEY FERGUSON MF 7618 Dyna-4 wheel tractor. Spare Parts Catalog. 4601589 MF 7618 Dyna-6 MASSEY FERGUSON MF 7618 Dyna-6 wheel tractor. Spare Parts Catalog. 4601590 MF 7618 Dyna-VT MASSEY FERGUSON MF 7618 Dyna-VT wheel tractor. Spare Parts Catalog. 4601591 MF 7619 MASSEY FERGUSON MF 7619 wheel tractor. Spare Parts Catalog. 4601592 MF 7619 Dyna VT MASSEY FERGUSON MF 7619 Dyna VT wheel tractor. Spare Parts Catalog. 4601593 MF 7619 Dyna-6 MASSEY FERGUSON MF 7619 Dyna-6 wheel tractor. Spare Parts Catalog. 4601594 MF 7619 Dyna-6 Datatronic CCD MASSEY FERGUSON MF 7619 Dyna-6 Datatronic CCD wheel tractor. Spare Parts Catalog. 4601595 MF 7619 Dyna-VT MASSEY FERGUSON MF 7619 Dyna-VT wheel tractor. Spare Parts Catalog. 4601596 MF 7619 Dyna-VT Datatronic CCD MASSEY FERGUSON MF 7619 Dyna-VT Datatronic CCD wheel tractor. Spare Parts Catalog. 4601597 MF 7620 MASSEY FERGUSON MF 7620 wheel tractor. Spare Parts Catalog. 4601598 MF 7620 Dyna VT MASSEY FERGUSON MF 7620 Dyna VT wheel tractor. Spare Parts Catalog. 4601599 MF 7620 Dyna-6 MASSEY FERGUSON MF 7620 Dyna-6 wheel tractor. Spare Parts Catalog. 4601600 MF 7620 Dyna-6 Datatronic CCD MASSEY FERGUSON MF 7620 Dyna-6 Datatronic CCD wheel tractor. Spare Parts Catalog. 4601601 MF 7620 Dyna-VT MASSEY FERGUSON MF 7620 Dyna-VT wheel tractor. Spare Parts Catalog. 4601602 MF 7620 Dyna-VT Datatronic CCD MASSEY FERGUSON MF 7620 Dyna-VT Datatronic CCD wheel tractor. Spare Parts Catalog. 4601603 MF 7622 MASSEY FERGUSON MF 7622 wheel tractor. Spare Parts Catalog. 4601604 MF 7622 Dyna VT MASSEY FERGUSON MF 7622 Dyna VT wheel tractor. Spare Parts Catalog. 4601605 MF 7622 Dyna-6 MASSEY FERGUSON MF 7622 Dyna-6 wheel tractor. Spare Parts Catalog. 4601606 MF 7622 Dyna-6 Datatronic CCD MASSEY FERGUSON MF 7622 Dyna-6 Datatronic CCD wheel tractor. Spare Parts Catalog. 4601607 MF 7622 Dyna-VT MASSEY FERGUSON MF 7622 Dyna-VT wheel tractor. Spare Parts Catalog. 4601608 MF 7622 Dyna-VT Datatronic CCD MASSEY FERGUSON MF 7622 Dyna-VT Datatronic CCD wheel tractor. Spare Parts Catalog. 4601609 MF 7624 MASSEY FERGUSON MF 7624 wheel tractor. Spare Parts Catalog. 4601610 MF 7624 Dyna VT MASSEY FERGUSON MF 7624 Dyna VT wheel tractor. Spare Parts Catalog. 4601611 MF 7624 Dyna-6 MASSEY FERGUSON MF 7624 Dyna-6 wheel tractor. Spare Parts Catalog. 4601612 MF 7624 Dyna-6 Datatronic CCD MASSEY FERGUSON MF 7624 Dyna-6 Datatronic CCD wheel tractor. Spare Parts Catalog. 4601613 MF 7624 Dyna-VT MASSEY FERGUSON MF 7624 Dyna-VT wheel tractor. Spare Parts Catalog. 4601614 MF 7624 Dyna-VT Datatronic CCD MASSEY FERGUSON MF 7624 Dyna-VT Datatronic CCD wheel tractor. Spare Parts Catalog. 4601615 MF 7626 MASSEY FERGUSON MF 7626 wheel tractor. Spare Parts Catalog. 4601616 MF 7626 Dyna-6 MASSEY FERGUSON MF 7626 Dyna-6 wheel tractor. Spare Parts Catalog. 4601617 MF 7626 Dyna-6 Datatronic CCD MASSEY FERGUSON MF 7626 Dyna-6 Datatronic CCD wheel tractor. Spare Parts Catalog. 4601618 MF 7714 MASSEY FERGUSON MF 7714 wheel tractor. Spare Parts Catalog. 4601619 MF 7714 Dyna-4 MASSEY FERGUSON MF 7714 Dyna-4 wheel tractor. Spare Parts Catalog. 4601620 MF 7714 Dyna-6 MASSEY FERGUSON MF 7714 Dyna-6 wheel tractor. Spare Parts Catalog. 4601621 MF 7714 Dyna-6 Datatronic CCD MASSEY FERGUSON MF 7714 Dyna-6 Datatronic CCD wheel tractor. Spare Parts Catalog. 4601622 MF 7714 Dyna-VT MASSEY FERGUSON MF 7714 Dyna-VT wheel tractor. Spare Parts Catalog. 4601623 MF 7714 Dyna-VT Datatronic CCD MASSEY FERGUSON MF 7714 Dyna-VT Datatronic CCD wheel tractor. Spare Parts Catalog. 4601624 MF 7715 MASSEY FERGUSON MF 7715 wheel tractor. Spare Parts Catalog. 4601625 MF 7715 Dyna VT / Dyna Step MASSEY FERGUSON MF 7715 Dyna VT / Dyna Step wheel tractor. Spare Parts Catalog. 4601626 MF 7715 Dyna-4 MASSEY FERGUSON MF 7715 Dyna-4 wheel tractor. Spare Parts Catalog. 4601627 MF 7715 Dyna-6 MASSEY FERGUSON MF 7715 Dyna-6 wheel tractor. Spare Parts Catalog. 4601628 MF 7715 Dyna-6 Datatronic CCD MASSEY FERGUSON MF 7715 Dyna-6 Datatronic CCD wheel tractor. Spare Parts Catalog. 4601629 MF 7715 Dyna-VT MASSEY FERGUSON MF 7715 Dyna-VT wheel tractor. Spare Parts Catalog. 4601630 MF 7715 Dyna-VT Datatronic CCD MASSEY FERGUSON MF 7715 Dyna-VT Datatronic CCD wheel tractor. Spare Parts Catalog. 4601631 MF 7716 MASSEY FERGUSON MF 7716 wheel tractor. Spare Parts Catalog. 4601632 MF 7716 Dyna VT / Dyna Step MASSEY FERGUSON MF 7716 Dyna VT / Dyna Step wheel tractor. Spare Parts Catalog. 4601633 MF 7716 Dyna-4 MASSEY FERGUSON MF 7716 Dyna-4 wheel tractor. Spare Parts Catalog. 4601634 MF 7716 Dyna-6 MASSEY FERGUSON MF 7716 Dyna-6 wheel tractor. Spare Parts Catalog. 4601635 MF 7716 Dyna-6 Datatronic CCD MASSEY FERGUSON MF 7716 Dyna-6 Datatronic CCD wheel tractor. Spare Parts Catalog. 4601636 MF 7716 Dyna-VT MASSEY FERGUSON MF 7716 Dyna-VT wheel tractor. Spare Parts Catalog. 4601637 MF 7716 Dyna-VT Datatronic CCD MASSEY FERGUSON MF 7716 Dyna-VT Datatronic CCD wheel tractor. Spare Parts Catalog. 4601638 MF 7718 MASSEY FERGUSON MF 7718 wheel tractor. Spare Parts Catalog. 4601639 MF 7718 Dyna VT / Dyna Step MASSEY FERGUSON MF 7718 Dyna VT / Dyna Step wheel tractor. Spare Parts Catalog. 4601640 MF 7718 Dyna-4 MASSEY FERGUSON MF 7718 Dyna-4 wheel tractor. Spare Parts Catalog. 4601641 MF 7718 Dyna-6 MASSEY FERGUSON MF 7718 Dyna-6 wheel tractor. Spare Parts Catalog. 4601642 MF 7718 Dyna-6 Datatronic CCD MASSEY FERGUSON MF 7718 Dyna-6 Datatronic CCD wheel tractor. Spare Parts Catalog. 4601643 MF 7718 Dyna-VT MASSEY FERGUSON MF 7718 Dyna-VT wheel tractor. Spare Parts Catalog. 4601644 MF 7718 Dyna-VT Datatronic CCD MASSEY FERGUSON MF 7718 Dyna-VT Datatronic CCD wheel tractor. Spare Parts Catalog. 4601645 MF 7719 MASSEY FERGUSON MF 7719 wheel tractor. Spare Parts Catalog. 4601646 MF 7719 Dyna VT / Dyna Step MASSEY FERGUSON MF 7719 Dyna VT / Dyna Step wheel tractor. Spare Parts Catalog. 4601647 MF 7719 Dyna-6 MASSEY FERGUSON MF 7719 Dyna-6 wheel tractor. Spare Parts Catalog. 4601648 MF 7719 Dyna-6 Datatronic CCD MASSEY FERGUSON MF 7719 Dyna-6 Datatronic CCD wheel tractor. Spare Parts Catalog. 4601649 MF 7719 Dyna-VT MASSEY FERGUSON MF 7719 Dyna-VT wheel tractor. Spare Parts Catalog. 4601650 MF 7719 Dyna-VT Datatronic CCD MASSEY FERGUSON MF 7719 Dyna-VT Datatronic CCD wheel tractor. Spare Parts Catalog. 4601651 MF 7720 MASSEY FERGUSON MF 7720 wheel tractor. Spare Parts Catalog. 4601652 MF 7720 Dyna VT / Dyna Step MASSEY FERGUSON MF 7720 Dyna VT / Dyna Step wheel tractor. Spare Parts Catalog. 4601653 MF 7720 Dyna-6 MASSEY FERGUSON MF 7720 Dyna-6 wheel tractor. Spare Parts Catalog. 4601654 MF 7720 Dyna-6 Datatronic CCD MASSEY FERGUSON MF 7720 Dyna-6 Datatronic CCD wheel tractor. Spare Parts Catalog. 4601655 MF 7720 Dyna-VT MASSEY FERGUSON MF 7720 Dyna-VT wheel tractor. Spare Parts Catalog. 4601656 MF 7720 Dyna-VT Datatronic CCD MASSEY FERGUSON MF 7720 Dyna-VT Datatronic CCD wheel tractor. Spare Parts Catalog. 4601657 MF 7722 MASSEY FERGUSON MF 7722 wheel tractor. Spare Parts Catalog. 4601658 MF 7722 Dyna VT / Dyna Step MASSEY FERGUSON MF 7722 Dyna VT / Dyna Step wheel tractor. Spare Parts Catalog. 4601659 MF 7722 Dyna-6 MASSEY FERGUSON MF 7722 Dyna-6 wheel tractor. Spare Parts Catalog. 4601660 MF 7722 Dyna-6 Datatronic CCD MASSEY FERGUSON MF 7722 Dyna-6 Datatronic CCD wheel tractor. Spare Parts Catalog. 4601661 MF 7722 Dyna-VT MASSEY FERGUSON MF 7722 Dyna-VT wheel tractor. Spare Parts Catalog. 4601662 MF 7722 Dyna-VT Datatronic CCD MASSEY FERGUSON MF 7722 Dyna-VT Datatronic CCD wheel tractor. Spare Parts Catalog. 4601663 MF 7724 MASSEY FERGUSON MF 7724 wheel tractor. Spare Parts Catalog. 4601664 MF 7724 Dyna VT / Dyna Step MASSEY FERGUSON MF 7724 Dyna VT / Dyna Step wheel tractor. Spare Parts Catalog. 4601665 MF 7724 Dyna-6 MASSEY FERGUSON MF 7724 Dyna-6 wheel tractor. Spare Parts Catalog. 4601666 MF 7724 Dyna-6 Datatronic CCD MASSEY FERGUSON MF 7724 Dyna-6 Datatronic CCD wheel tractor. Spare Parts Catalog. 4601667 MF 7724 Dyna-VT MASSEY FERGUSON MF 7724 Dyna-VT wheel tractor. Spare Parts Catalog. 4601668 MF 7724 Dyna-VT Datatronic CCD MASSEY FERGUSON MF 7724 Dyna-VT Datatronic CCD wheel tractor. Spare Parts Catalog. 4601669 MF 7726 MASSEY FERGUSON MF 7726 wheel tractor. Spare Parts Catalog. 4601670 MF 7726 Dyna VT / Dyna Step MASSEY FERGUSON MF 7726 Dyna VT / Dyna Step wheel tractor. Spare Parts Catalog. 4601671 MF 7726 Dyna-6 MASSEY FERGUSON MF 7726 Dyna-6 wheel tractor. Spare Parts Catalog. 4601672 MF 7726 Dyna-6 Datatronic CCD MASSEY FERGUSON MF 7726 Dyna-6 Datatronic CCD wheel tractor. Spare Parts Catalog. 4601673 MF 7726 Dyna-VT MASSEY FERGUSON MF 7726 Dyna-VT wheel tractor. Spare Parts Catalog. 4601674 MF 7726 Dyna-VT Datatronic CCD MASSEY FERGUSON MF 7726 Dyna-VT Datatronic CCD wheel tractor. Spare Parts Catalog.